It was first introduced in the 2020 Forester and will soon be offered in the redesigned 2020 Legacy. Last month, Volvo unveiled plans to integrate groundbreaking new technology into its new cars that uses in-car cameras to detect if the driver is intoxicated or distracted. It’s part of the automaker’s long-term plan to make every new model it produces death proof by 2020. Subaru has also introduced a driver monitoring system with an active safety feature that tracks the driver’s eyes to detect drowsiness. 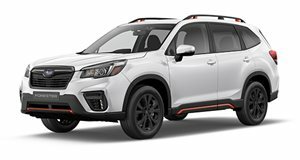 Developed by supplier Mitsubishi Electric, Subaru’s DriverFocus technology debuted in the redesigned 2019 Subaru Forester and is only available on the top-range Touring trim, which starts at $34,295. The plush Touring trim also comes with satin chrome mirror caps and chrome door handles, while the cabin features an 8-way power front passenger seat, a heated steering wheel, and a Harman Kardon premium audio system. There’s also heated rear seats and an 8-inch infotainment system with GPS navigation. Subaru’s DriverFocus system uses a small infrared camera embedded in the vehicle's infotainment system and uses facial recognition software to identify signs of driver distraction and fatigue. Once the camera has scanned the driver's face, the system tracks his or her eyes. If the eyes are not on the road for two to three seconds, the system emits audible and visual alerts to remind the driver to focus. "The current focus of camera systems is as a safety product," Mark Rakoski, vice president of advanced mobility at Mitsubishi Electric Automotive America, told Automotive News. "Is the driver paying attention? Is he gazing off? Is he looking off into something too long? Are his eyes closed? Is he looking somewhere he shouldn't be, from attention standpoint? It very much started as a safety product." Subaru and Mitsubishi Electric stressed the technology does not record data. 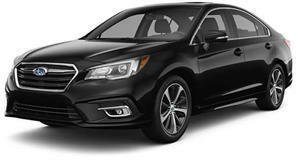 After the system debuted in the Forester, Subaru plans to roll it out into the redesigned 2020 Subaru Legacy. It will be offered as standard on the Legacy XT in Limited and Touring trims, and optional on the midsize sedan's Limited trim. Though not exactly the most exciting sedan on the market, the Subaru Legacy is nevertheless a surprisingly pleasant and practical vehicle. It’s peak practical. But like all sedans, sales are falling.